You’ve booked the holiday, you’ve packed, you’re pretty sure you’ve got everyone’s passports (although the less said about those photos the better) and you’ve FINALLY got everyone to the airport. 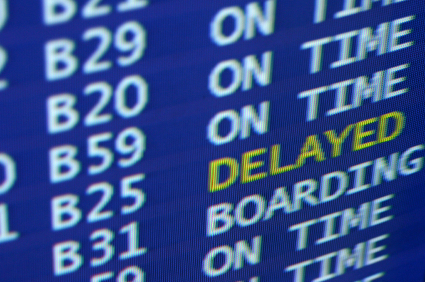 But then, disaster strikes….delays! Suddenly, you’re faced with the daunting task of keeping children/teenagers/spouses/grandparents entertained when you’re all stuck in an airport. Don’t panic, here are some ideas! No not the board game, but a fun variation on people watching. One person selects a random stranger from the crowd at the airport and makes up a fact about them, then the rest of the group have to guess who they’re talking about. One person makes up the first line, then another person makes up the second, and so on until you’ve got a limerick. Each person gets given a random number which is their imaginary budget, they have to go around the shops in the airport and ‘window shop’ that exact budget in a set time frame. Then you all reconvene and go through the random things you have ‘bought’. To make sure no one cheats, ask them to take photos on their phones or cameras as they go. For those of you who don’t mind a little embarrassment, why not try ‘The President is in Danger’. The rules are simple, if someone puts their finger to their ear (like they’re listening to an earpiece), everyone else has to do it too. When there is only 1 person left NOT holding their ear, the 1st person shouts “Get down Mr President” and the person not holding their ear has to drop to the floor as quickly as possible. Take it in turns to say 2 statements; 1 true, 1 false. Everyone else has to guess which statement is true and which is the false one. Make up stories about where your fellow passengers are going, who they’re meeting and what they’ll be doing. Based on the classic TV show ‘Supermarket Sweep’, each person or team has a list of random items and a set amount of time. They have to run through the airport finding those items, and taking a photo on their camera or phone when they’ve found them. The more random the items, the more fun the game.